Whether you own or lease your business premises be sure you are not missing out on the tax benefits you could be claiming for the depreciation of your business fit-out. When we say fit-out we are referring to the additions a business owner includes to a building to make it suitable for their business purposes. Examples include additions like partition walls in offices, basins and wash stations in salons, kitchens, bathrooms, carpet, blinds, mezzanines, bench counters, painting, floating floor boards, bars, cool rooms etc. Who can claim depreciation on the fit-out? The owner of the fit-out (the person or entity who paid for it - brand new or second hand) is entitled to claim tax deductions for the depreciation of the fit-out under Division 43 (building) and Division 40 (plant and equipment) of the ATO legislation. This means that even if you lease your premises, any building works you have done, or any plant and equipment assets you have added are able to be claimed by you as capital works and depreciation when you do your business financials. What does it mean when I claim depreciation on my fit-out? Claiming depreciation of your fit-out simply means you are claiming a tax deduction for the ageing and wearing out of the building works and assets over time. Your accountant will simply include the calculated depreciation amount in your business financials as an expense. The great thing about this expense is that you have already paid for the building and assets already anyway, so there is no further expense required to make the claims. Increasing your expenses reduces your taxable profit and therefore your tax payable at the end of financial year. How is the depreciation calculated? Depreciation is calculated off a construction cost (for Division 43 building works), and off professional valuation (for Division 40 Plant and Equipment items). Building costs include not just materials and labour but also preliminary expenses and consultants fees. Division 40 assets are valued at a total installed cost (not just the receipted cost of the asset). What if I don't know the costs of my fit-out? If you don't have all the invoices and receipts for your fit-out, or you have purchased the fit-out as part of a business acquisition that is no problem. Quantity surveyors (those who are registered as tax agents) are recognised by the ATO as appropriately qualified to estimate building works and value plant and equipment assets for the purpose of calculating depreciation. Accountants and real estate agents are not recognised by the ATO to estimate construction costs for depreciation purposes. The most effective way to maximise your deductions and cash return is to have a depreciation schedule prepared by a qualified and registered quantity surveyor. What happens if I move premises and leave the fit-out behind? If you are a leaseholder and move on from the premises it is likely one of following will happen: 1. you will be asked to "make good" the premises (return it to how it was without the fit-out); 2. you will be asked to leave the fit-out as is; 3. you will be asked to demolish some of the fit-out and leave some of it intact. If you are required to do a combination of both then you can scrap the demolished assets and the new owner of the assets will be able to claim depreciation on what remains. When you are purchasing a business that includes fit-out, there is no requirement to have the plant and equipment value stipulated in the contract of sale, and from a depreciation perspective it is in your interest to leave the value silent. Obtaining a thorough and accurately valued inventory of the fit-out can greatly assist in ensuring you are claiming the maximum depreciation to which you are entitled as the new business owner. In many circumstances it is better to apply the maximum accurate value to plant and equipment as opposed to goodwill. Even though stamp duty will be payable on the plant and equipment, the benefits of claiming the depreciation on these same assets can be substantially greater than the savings made by making use of the stamp duty exemption on goodwill (if there is one in your state). This is particularly relevant to plant and equipment assets owned by small businesses that are valued at less than $20,000, as these assets are eligible for immediate write-off under the Small Business immediate write-off rules. This would mean a 100% deduction for plant and equipment assets acquired in a company tax environment of 27.5% for the 2017 financial year. If plant and equipment values are identified in the contract of sale you are locked in to using those figures for both the application of any stamp duty exemption, and also for depreciation claims for the plant and equipment. Values provided by sellers are often heavily depreciated already (as they will have maximised their own claims), and inventories are often incomplete. This is why we always recommend against using depreciation schedules of previous owners. Not only it is non-compliant, but it will not go close to maximising the deductions that may be available through a re-valuation of all the assets. We certainly recommend you engage a quantity surveyor to maximise your oppportunity to to claim the most deductions to which you are entitled, especially in that very important first year. How much does a depreciation schedule for my fit-out cost? The cost of a depreciation schedule for a commercial fit-out depends heavily on the size and nature of the fit-out. A small basic office or warehouse will be considerably less than a large hotel or business with extensive internal furbishment and assets. Our advice is to use a recognised professional (such as us) to ensure the best result. Is the cost of a depreciation schedule tax deductible? Yes. The cost of the depreciation schedule is 100% tax deductible in the year it is purchased. 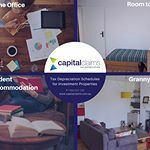 A schedule will also last for the depreciable life of the building works and assets (up to 40 years), so it is a one-off investment that you can use each year when your financials are calculated. Our clients, a professional services firm, completed an internal refurbishment of an office space in North Sydney and opened for business in late July 2016. The clients are leaseholders and business owners, but do not own the building. Our process involved a site inspection, identification of all depreciable assets, estimation of construction costs for the kitchen as full costs were not available, valuation of all assets where costs were not available, application of relevant effective lives, forecasting of depreciation over 40 years including utilisation of low cost and low value pooling, report quality assurance. Division 43 capital works included a new kitchen, partition walls and cabling, and were assigned a total construction cost of $173,003. Since recent changes to the Income Tax Laws for small business, this business now qualifies as a small business (less than $10 million in turnover), and so all individual assets valued at $20,000 (ex GST) or less are eligible for immediate write-off in the first year. Total depreciation claimable in the first financial year (2017), for both Division 43 and Division 40 combined was just over $557,000, primarily due to the number of plant and equipment assets that qualified for immediate deduction. As higher valued assets continue to depreciate for their effective lives and then drop to low value pooling, and as the kitchen continues to depreciate for 40 years, the cumulative depreciation claimable across the first 10 years equals $632,144. This client was referred by one of our valued accounting partners, and the report fee for this particular commercial property was less than $2,000. Who can I talk to about depreciation for my business fit-out? A Capital Claims Tax Depreciation team member will be very happy to answer any questions you may have about claiming depreciation on your business fit-out. Our commercial specialist, Alex Konjarski will be pleased to take your call or respond to email requests for information. 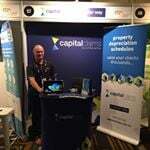 You can contact Alex during business hours on 1300 922 220 or via email on alexk@capitalclaims.com.au. For more information about owning or leasing a business, you may find this article from TGC helpful. Many businesses, small and large, are in the process of finalising their business and individual financials for lodgement with the ATO over the next few months.